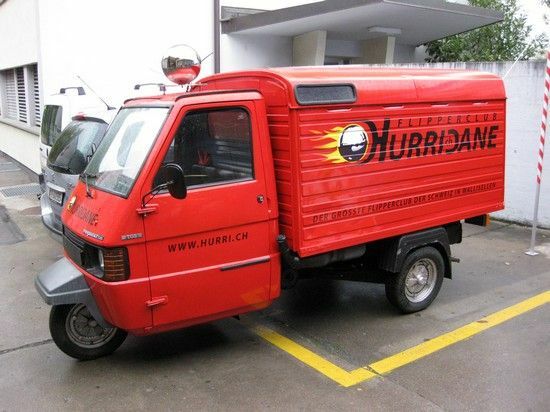 Location: Hurricane Flipper Club, Kriesbachstrasse 1, 8304 Wallisellen, Zurich, Switzerland. 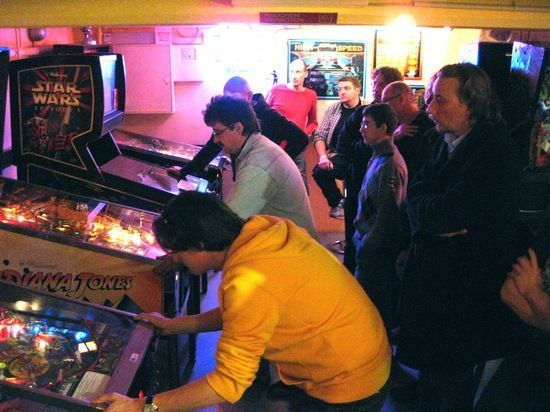 Hurri Flipperclub is permanently located in an industrial basement, below an Italian restaurant. 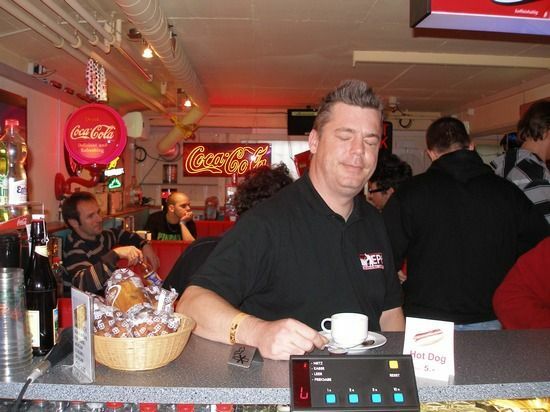 However, for the EPC a deal was done with the restaurant and a paint shop next door, to spread out the machines and give some relaxation room for everyone. In addition, a marquee was erected outside with additional seating and tables. The location had advantages and disadvantages. There were no shops within walking distance (and all Swiss shops are closed on Sundays anyway), but the journey to the airport or to Zurich city centre by bus was quite straightforward and quick, via the world-renowned and excellent public transport. The winner on each of the two machines received 40% of the of the total earnings from both machines. The schedule of events was quite ambitious, with multiple tournaments occurring simultaneously requiring considerable preparation, lots of marshals and meticulous execution. Luckily that is just the sort of thing that the Swiss are known for. The top three teams from each of the group qualified for the finals stages, with teams in positions two and three playing quarter finals to meet the other group winner in the semis, and then for a place in the final. 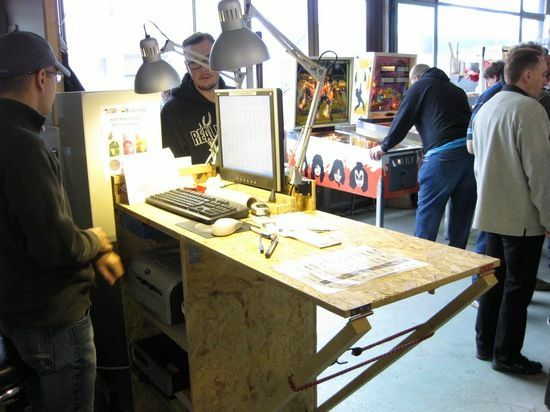 Each head-to-head match was played on two machines, with two players from each team per machine. As is usually the case with team events, the playing area was quite full making it a little difficult, but not impossible, to move around, and the tournament ran to schedule, finishing late on the Friday evening. 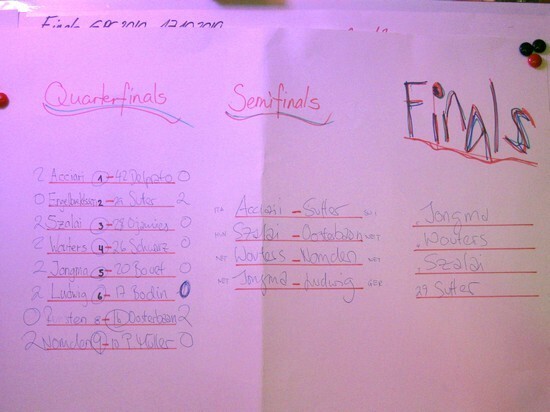 plus the results from the qualifying rounds, shown above. 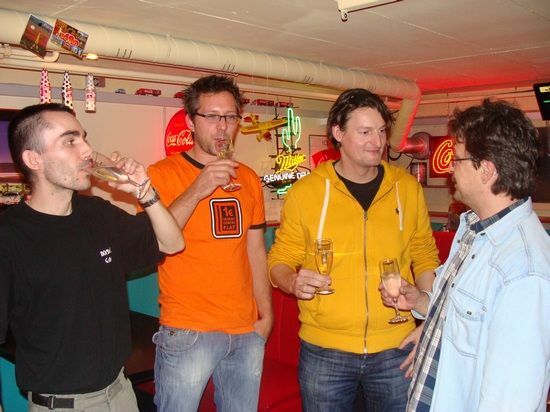 Mark van der Gugten, Paul Jongma, Albert Nomden and Brenn Oosterbaan. Also starting on the Friday evening - at the same time as the Country tournament - were the first two of the five qualifying sessions for the main EPC tournament. 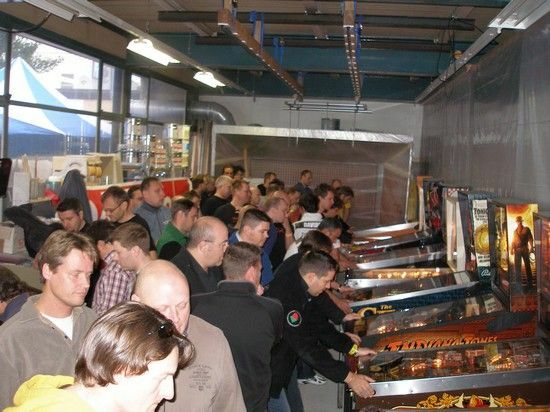 When the event organisers released the format and published it on the event website, this prompted quite a lot of discussion on various European pinball forums. The format was nothing like what we were used to, many thought it wouldn’t work at all, and some even decided not to participate citing that as the reason. Nonetheless, with around one hundred and fifty entrants, the format obviously wasn’t too much of a showstopper. Each player was allocated to one of the five qualifying sessions (after expressing their personal preference), with each being exactly three hours and fifteen minutes long. I thought I’d get some feedback from the organisers, regarding the format. Here’s what Michael Trepp said: “The format went way smoother than I expected, I didn't hear any problems because of the format. We had positive and negative feedbacks - most were very positive and they enjoyed it, especially having so much ball time and opportunity to play." "There were some concerns in advance from other players (I had concerns too) that the format wasn't fair, because everybody plays a different number of games. I think it was tactical challenge; Which game has shorter ball times? Is my score good enough or shall I play one more game on this machine? …along with many other questions." 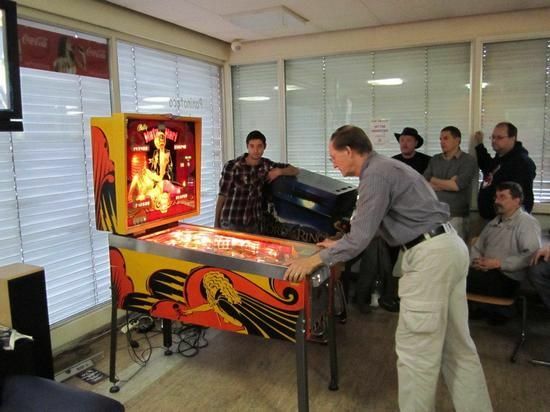 My personal view was that the machines were in generally excellent condition, and it was pointed out to me that the settings for the machines were typically PAPA tournament settings where possible, and so should be fairly familiar to regular tournament players. 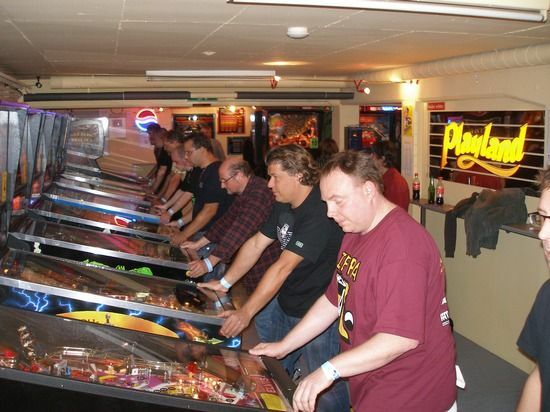 The approximately thirty players for each session had the use of twenty-five machines on which to add to their qualification total. Do some basic maths for yourself and you’ll realise that there were not quite enough machines for all the players at any one time. But this wasn’t really a problem, because playing for over three hours solid is quite tiring, so you needed plenty of time out for breaks and a drink from the venue's bar areas. 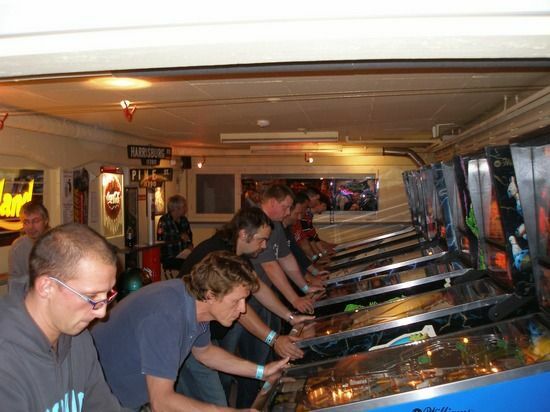 Not only was it punishing on the players, but for each session there were five referees to take scores, each watching over five machines. 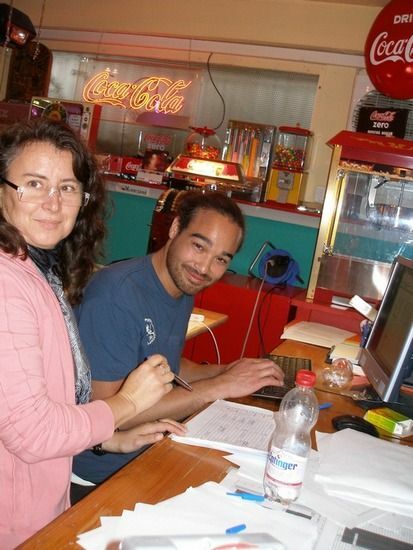 Scores were collected on paper and entered into an Excel spreadsheet system, and after all qualifying sessions were complete, results were published. Luckily, the Swiss are pretty good at organising things up front and to run on time. With the EPC it was no exception. All the referees were organised in advance and stuck to the task. One big advantage of the timed-session qualifying format used is that the lower ranking players get the same amount of time to get a higher score than top players, which translates into more plays for them. It shouldn’t really make any difference to the outcome of course, but it means every player gets the same play-time value for their money. 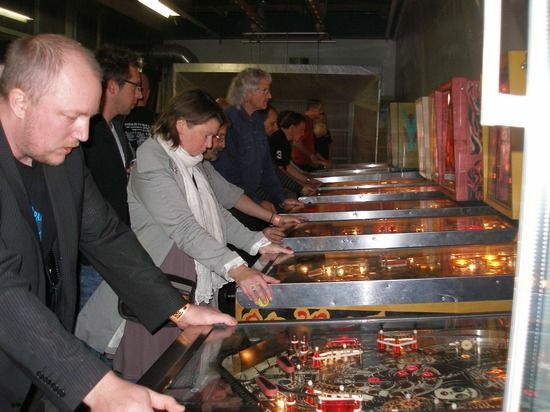 Also, with the strong referee organisation in place, opportunities for cheating were minimised, and of course you could always choose to play the machine again if you were not happy with your score. 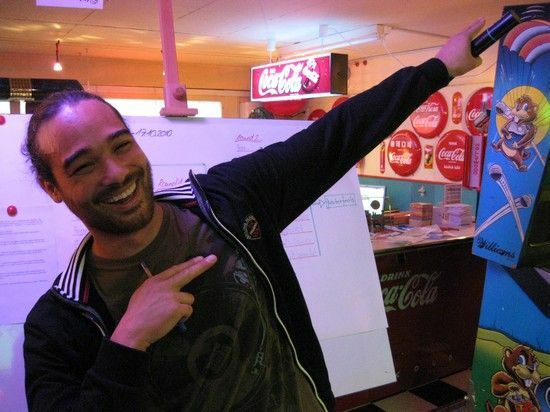 Do you think the owner of the flipperclub drinks Coca-Cola? 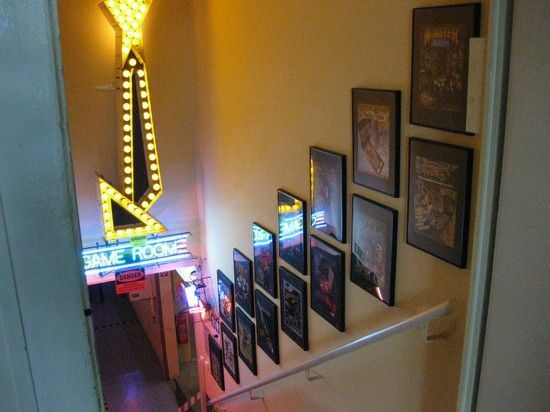 Whilst the Hurri Flipperclub has an in-house video screen system, with monitors dotted around the place showing a continual stream of pinball and sponsor related messages, it was not used specifically for the EPC. 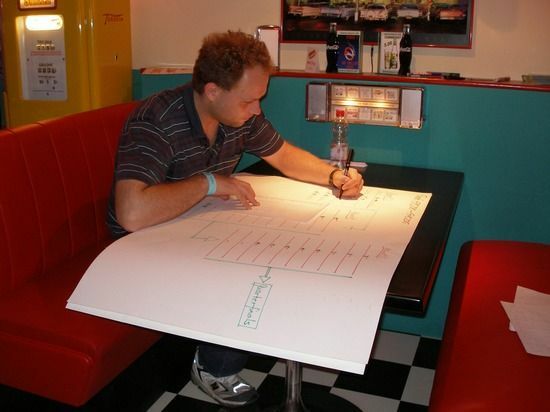 The tournament scoring systems were mostly performed manually, with handwritten scoring and spreadsheets. Live scoring updates during the main event were not available, with the organisers making the conscious decision to hold scores back so that early players were not disadvantaged. Positions were revealed in the marquee outside at the end of the qualifying on Saturday. 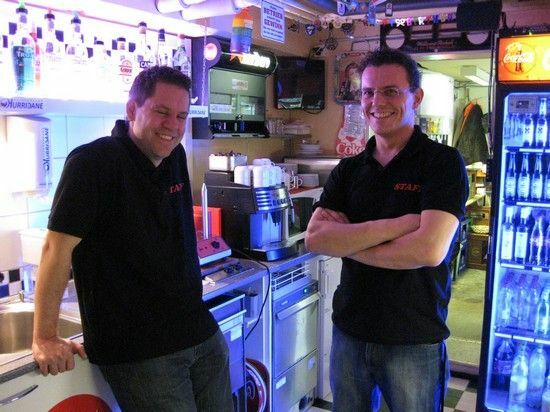 The normal operating mode of the Hurricane flipperclub is that of a bar which is open two or three evenings a month until 2am. 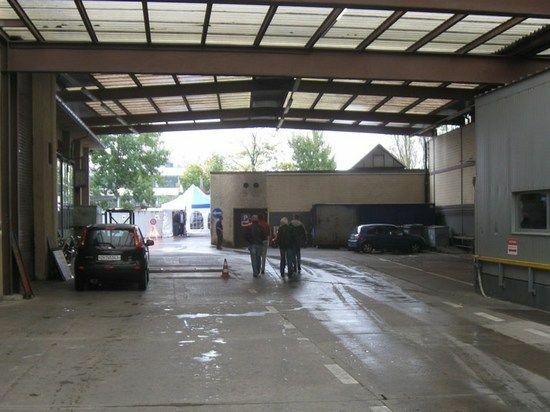 This works great because it’s located in an industrial area. For Friday night, closing wasn’t quite as late as usual, but it was well after midnight. Given the late Friday night, the second event day - Saturday - kicked off at a leisurely 1pm, giving everyone enough time to bank some sleep before the three remaining three hour fifteen minute long qualifying sessions, and the first Classics tournament qualifying, which would again take us past midnight. With the Classics event now an established part of the EPC event (most years anyway), there was plenty to look forward to. 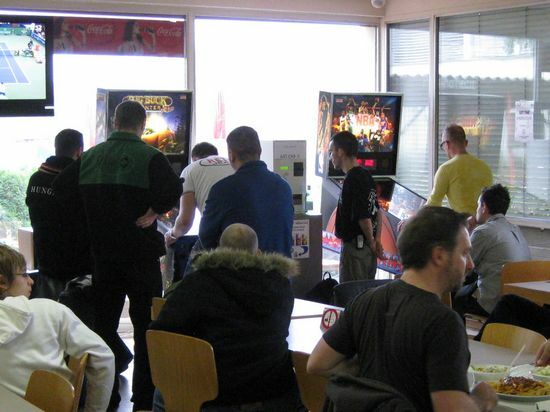 Compared to the main tournament format, the Classics format was, well, a bit more classic, with machines on pay-per-play (1 CHF, about €0.75). 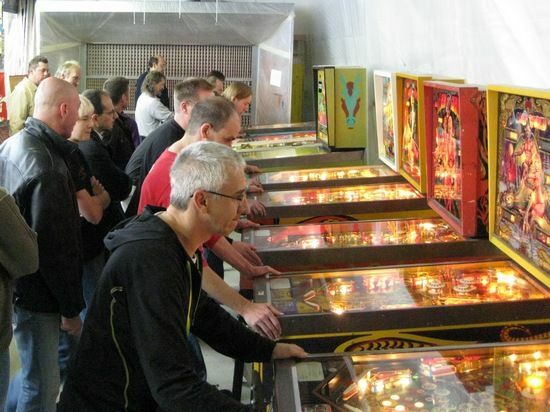 The top ten scores on each machine were awarded points, which were totaled across all machines and the highest ranked sixteen players went on to the finals on Sunday (see later). It certainly was popular. The room was constantly full and nearly a hundred competitors gave it a try. Play continued through the day, but unlike normal Swiss events, there was no stop for lunch. This is something I think was unfortunate. 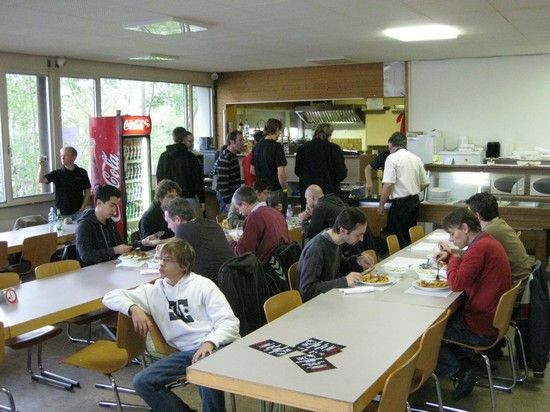 Every tournament or special pinball event I go to in Switzerland has an hour or hour-and-a-half stop where everyone goes and has lunch together, usually a decent barbeque, or at least bratwürst, brot and salad (aka, great big sausage with bread). 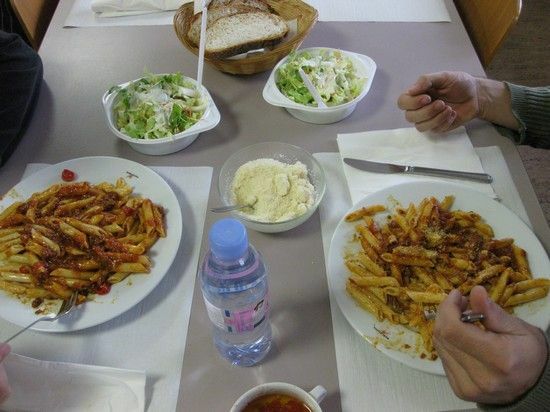 I guess with the tight schedule, something had to give, and the food choice was limited to whatever the industrial canteen (where the high-score and end finals machines were played) had available, which in this case was Italian. Sunday was finals day. Doors opened at 9am and it was straight into the main event's first round finals. Actually, there were several rounds of finals, with some byes for top qualifying players in a format not dissimilar to the IFPA events. Rather than me trying to reword the finals rules in a interesting and insightful way, just look at the picture below, you’ll get the idea much better, or look on the EPC 2010 website, for the exact format. - Round 0 allowed six out of the twelve lowest qualifiers to qualify for finals round 1. - Then round 1 allowed eight more qualifiers to qualify for finals round 2. 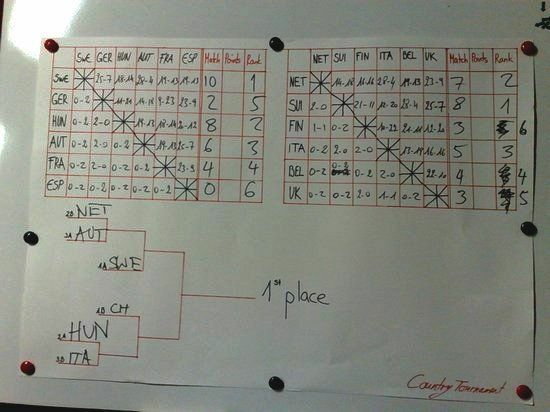 - The winners of round 2 became the quarter-finalists. All games were head-to-head. Round 0 was best of 1 game, rounds 1 and 2 were best of 3 games. The first finals round took place from 9:30am until midday and then the second round took place from just after 1pm until 4:30pm. The main event finals were scheduled to take place in the Canteen and started at 5pm, ending at around 6:30pm. 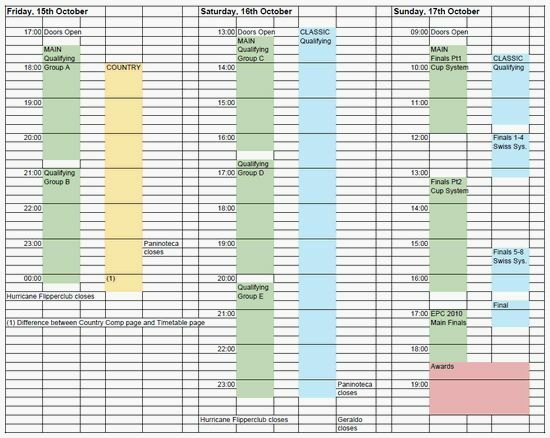 Note all these times are taken from the schedule. I didn’t check to see if everything ran to schedule - there was no need. This is Switzerland, remember. Famous for its precision instruments, clocks and general on-time-ness. Whilst the main event finals round 0, 1 and 2 were taking place, Sunday was also the time for a bit more Classics qualifying and then the finals. Looking back on the schedule for the Sunday, there was plenty of scope for clashes for players who qualified in both events. I can’t remember what happened in that event, I guess the main event took priority. The sixteen Classics final players then played in a nine-round Swiss-System final on the Sunday, to get to a four-player final. 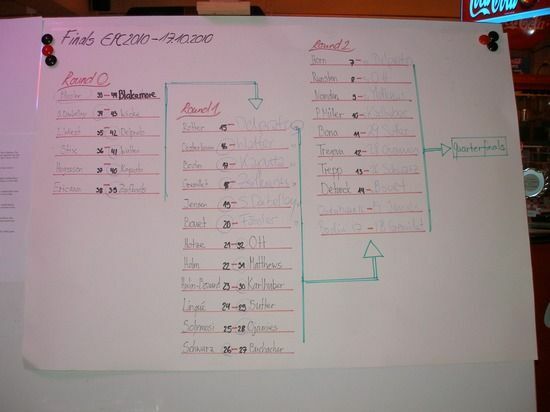 The Swiss-System is an interesting format that was originally used for Chess tournaments. It works really well when you have lots of machines, lots of players, and they’re all in the same place at the same time. All the play is head-to-head (no scores to take down) and a computer system keeps track of who wins against each other and calculates the matches for each round, remembering who’s already played who and on which machines. The general idea is that it tries to make sure matches are between players of a similar skill, without repeating matches or machines, so everyone gets to play all the different machines against different players. Your position is calculated by the number of wins you have, then by the number of wins that the players you played against have. Have a look at the results; you’ll get the idea. See list earlier on in this report for machine labels, i.e. EBD, LW etc. 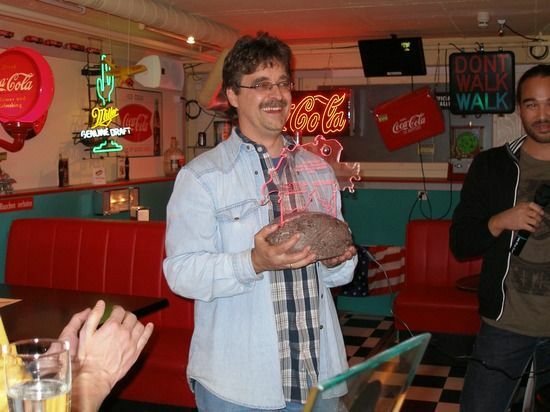 A special note regarding Bob Matthews; he had flown across from America to be at the event, having recently discovered pinball again and found out that he was still a pretty good player. Even the local press wanted to talk with him. Well-done Bob! Bob Matthews gets interviewed. I wonder how good his Swiss-German is? Throughout the EPC event, there were also two High Score competitions running, on NBA and Big Buck Hunter Pro. The price per play was 2 CHF (about €1.50), you could play as many times as you wanted, and the winner on each machine received 40% of the total takings, which amounted to a not insignificant 1,030 CHF, or around €769. At the end of the High Score Tournament, one of the winners was Tim Hulin Bouard and the other winner is a mystery, as I have not been able to find out who it was. Do you know who in was? Let us know here if you do. 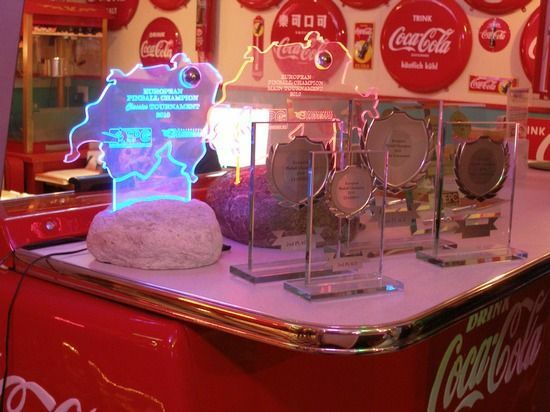 So, with the Classics final and High Score competitions sorted out, the remaining business was to deal with the EPC 2010 finals. The ten winners from the round 2 finals were added to Saturday's qualifiers in positions one to six, making a sixteen player quarter-final, played as the best of three games. The eight winners from the quarter-finals moved to the semi-final, played as the same best of three games. 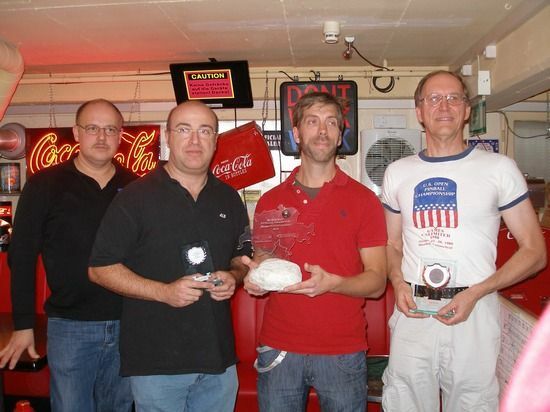 The winners went into the four-player final - a single five‑ball game. 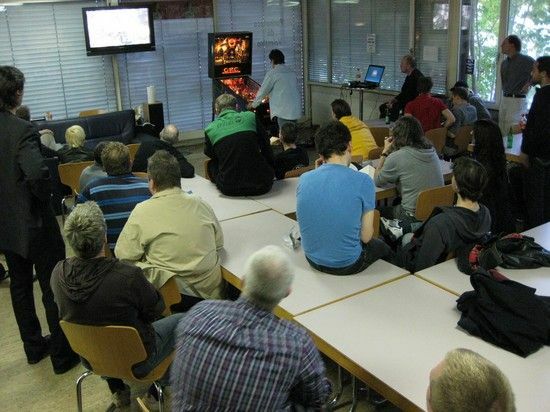 At 5pm, crowds gathered for the clash of the big guns in the final, on The Lord of the Rings, between Paul Jongma (EPC 2009 winner), Taco Wouters, Kristztian Szalai (EPC 2009 runner-up) and local favourite Robert Sutter. My recollections are a bit hazy about the final, maybe due to having to take someone to the airport, but if I remember correctly, Robert Sutter was having a nightmare game and was being left behind by everyone, but then had a cracking final ball and pulled-off the win! So that brings us the end of the EPC 2010. All the trophies are given out, the organisers and referees have a glass of champagne, and everyone is on their way home by 8pm. Well, everyone except for those who now have to clear the place up and put all the machines back, that is. Overall, the preparation for the event seemed to have paid off as there were no major problems, with any machine breakdowns fixed promptly. Costs for competitors were probably a bit on the high side, but that’s just the way the Swiss economy is right now. When it is considered, however, that the total prize fund fell just short of €4,000, then some of the costs are somewhat justified. Most importantly, the strength and depth of competition shows that pinball playing in Europe goes from strength to strength. 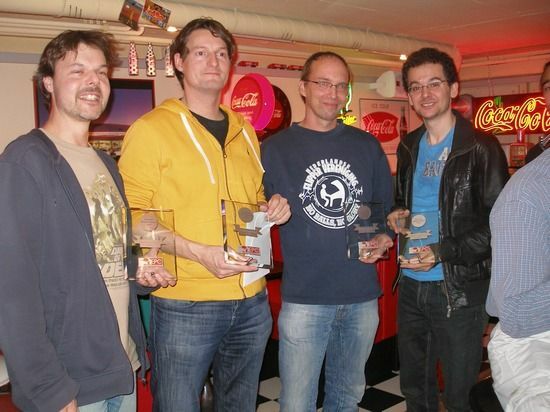 So see you all in France for EPC 2011! So, how’d it go then, Meti? Sadly, the EPC 2010 was a swan song for the Hurricane Flipperclub, as on Friday 25th February 2011, the venue closed it’s doors permanently, the owner Dani citing increasing costs and regulation as the reasons for his ultimate decision. 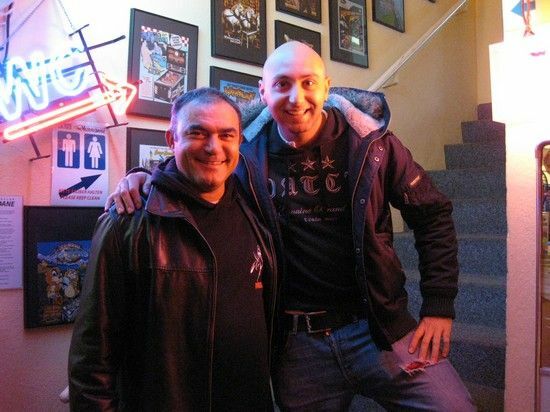 Maybe he’ll get out to play some more pinball now!